The general theme this coming week is for an increasingly perky autumnal jetstream to deepen Atlantic LOWS and bring them up to the UK from the SW with attendant rain and wind at times. In Reigate, according to our longer term average climatology, we get our heaviest rainfall when winds arrive from a southerly direction, which will be the case periodically through this week as LOWS track to our NW. The chart below shows how southerly winds will effect Reigate on Monday and Wednesday, and the rainfall chart for Wednesday shows potentially heavy rain that might be expected then. 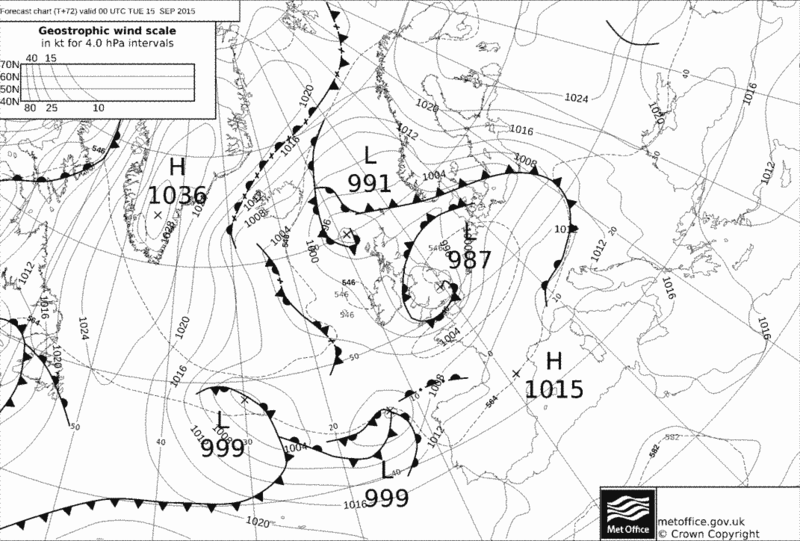 The first LOW modelled to track SW to NE arrives Sunday night and into Monday. Fronts attached to this LOW will bring wet weather into the SE and especially across the coast and Channel during Monday, some of this could be heavy and thundery in nature with cold upper air temperatures steepening lapse rates. Windy weather, especially nearer the coast, is likely too with tightly packed isobars. During Monday into early Tuesday SW convective wind gusts of 30-40mph are possible inland across the SE and 50mph+ in the Channel at times. 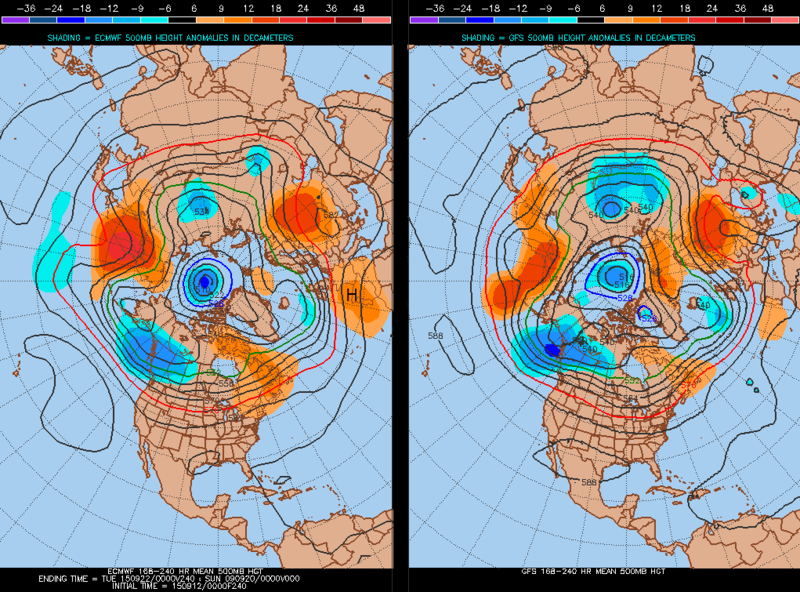 By mid-week a more intense depression could quickly follow bringing more interesting unsettled weather to the UK. 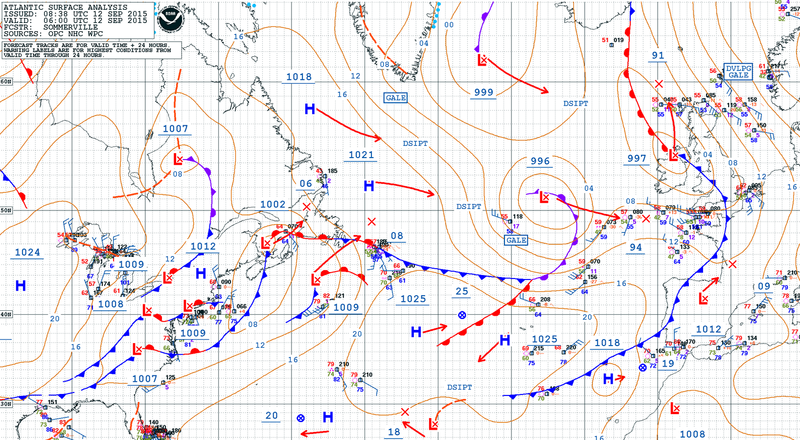 On the charts below the LOW off Nova Scotia is the remnants of a now dissipated ex-tropical depression called Henri. This system is not much to speak of at the moment, however, some models bring the remnant energy of Henri into Biscay by mid-week where it is forecast to merge and deepen with an Atlantic LOW under the jetstream and approach the UK from the SW possibly bringing an early taste of autumnal stormy weather through the UK. This is only one outcome, so worth watching. Extra-tropical storms inject tropical moisture and heat and energy into the Atlantic and are common in Autumn (Humberto, Cristobal in recent years). These decaying tropical systems can decay and die mid-ocean without ceremony but sometimes they meet the jetstream, mix with polar air at the polar front and then, under certain conditions, they can intensify into significant mid-latitude depressions, enhanced with extra-tropical zest! In contrast, sometimes these characters build HIGH pressure by pumping up ridges of high pressure with warm air if they track to the NW of the UK (like Humberto Sept 2015). However, several models show ex-Henri riding a perky jetstream across the Atlantic this week, merging with an Atlantic low and intensifying in Biscay before pouncing directly into the UK from the SW mid-week. Southerly gales in the Channel and wet weather across in the SE are possible in this scenario but the exact track will make a big difference as to what we end up getting. Watch forecasts for this one, as Reigate is in a moist southerly flow on most models. Further ahead, Run Reigate on Sunday 20 September is a major event for the town: a half marathon and 10km attended by thousands. The weather outlook for this event currently looks favourable, although it is too far off to be certain. After a fairly dire week of weather coming up, most models favour the idea of pressure rising into the weekend of 19-20 September, at least in the south of England. This would be good news for Run Reigate. Cluster models also show more members putting the SE in reasonable conditions with a HIGH forecast on many runs building from the south or SW, however, you can spot that other clusters show short wave troughs in the broadly zonal flow that returns quite quickly with fronts (probably quite weak) potentially nudging into the SE as pressure potentially falls away somewhat through the weekend. Anyhow, this a long way off so not confident with any forecast. 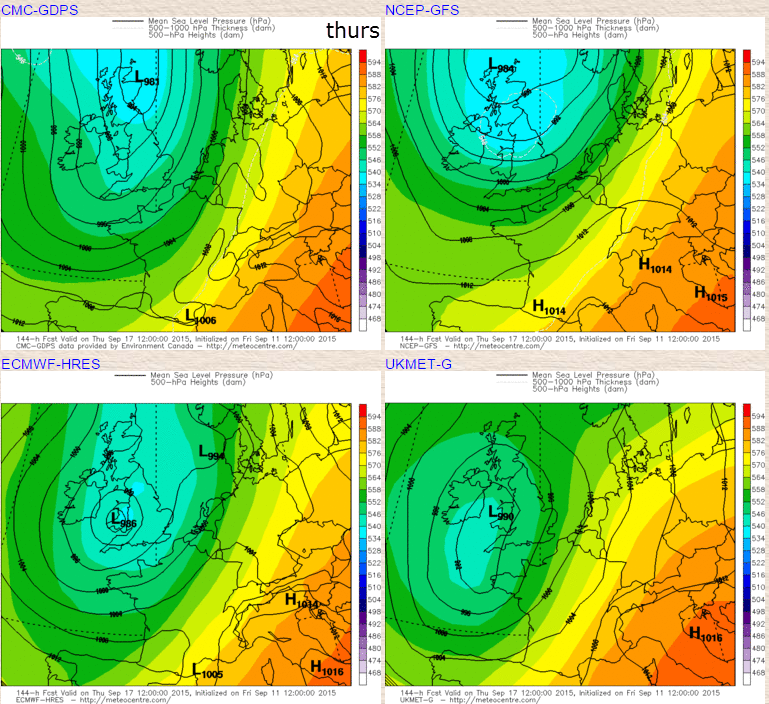 Ensemble charts shown above and below give optimism that the unsettled weather arriving this week will broadly improve for the Run Reigate event. However, tropical elements roaming the Atlantic often cause problems for weather models and so we will have to wait until nearer the time for more certainty.